Just look at the track titles of The Road Forward and swoon: Strangelands, A Man Alone, Sheer Elegance, Mystique Voyage, Cruising. Don’t you just want to hear those? The maestro Alan Hawkshaw really spoils us on this, one of the most sought after KPM greensleeves. This collection from 1977 is a brilliantly varied blend of silky smooth synths, funk-fuelled clavichord grooves and soft focus space beats. Essential. 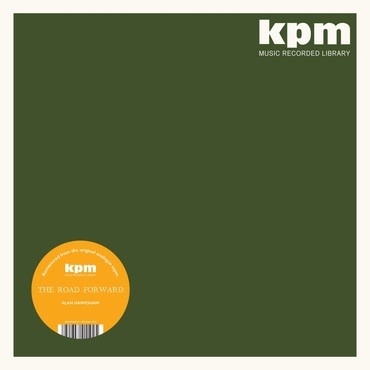 As with all of the KPM re-issues, the audio for The Road Forward comes from the original analogue tapes and has been remastered for vinyl by Be With regular Simon Francis. Care has been taken with the sleeves, handing the reproduction duties over to Richard Robinson, the current custodian of KPM’s brandidentity. And don’t worry! Those KPM stickers aren’t stuck directly on the sleeves!